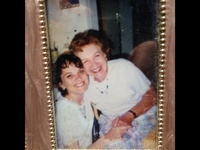 After my mom’s sudden passing in 2004, I encountered greetings from her spirit. She’d send me “pennies from heaven” (or nickels, dimes or quarters!) on the sidewalk. We’d meet in dreams. And sometimes, I’d feel goosebumps in thinking about her. You could say that’s coincidental. I’m rescued from a probable death, and my mom checks up on me at the hospital. This is a true story. My experience begins at 3:00 am, the last night of our family’s vacation in Colorado. After enduring severe abdominal pain, I’m misdiagnosed in the emergency room at the hospital in Glenwood Springs. (How ironic!) I return to our hotel with tiny white pills, believing I have gastroenteritis. The next morning, grimacing in pain, I advise my husband Joel that I’ll need a wheelchair at the airport. I know I can’t walk far. I hobble over to our rental car, clutching my stomach in the passenger seat. I endure the ride to the Denver airport. At the gate, the ticket agent glances at my pale, contorted face as I squirm in the waiting area. “Are you sure she can travel?” she asks with concern to my husband, Joel. Luckily, the flight cancels THREE times at the gate! I can’t stand or sit anymore. I wave at my husband, calling out in a faint voice, “I can’t make it!” I lower myself to the carpeted floor by the seating area and pass out. The ambulance whisks me to the Aurora Hospital. The doctor on call quickly determines I need emergency surgery. My appendix may have ruptured, and indeed, it did. If that Denver flight took off, it’s unlikely we’d be having this conversation. In order to heal, I need medications for a week. My husband and sons can’t stay. On most days, I lie alone. While desiring to be an easy patient, I wince with every poke of the intravenous needle. My thin veins resist confrontation. I cry over seemingly endless punctures. I miss my mom!!! One night, she arrives in a most glorious dream. While I can’t see her face, her voice sings to me. It’s beautiful. SOOO BEAUTIFUL! When she finishes, my heart is pounding, and I wake up. It’s 5:30 am. Wiping away tears, I grab a pen and paper from my bedside stand, and start scribbling. I write down her song. This is the day… a beautiful day… A day for me and you. Yesterday – my troubles lay heavy on my heart. But now it’s clear to me, whe’ere we be, We’re never far apart. 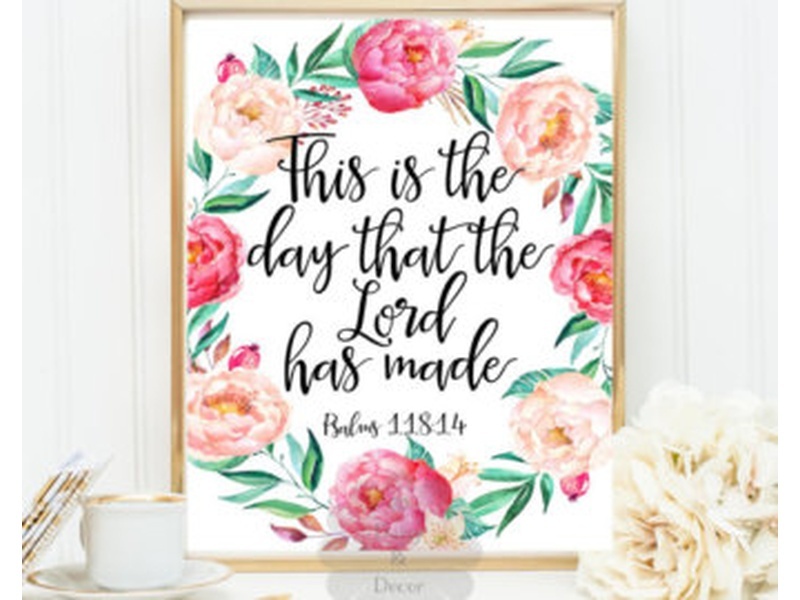 This is the day… that God hath made… A day to spend with you. I can barely wait to go to sleep the next night. Sure enough, mom returns in a second dream. She and my husband’s grandmother, Henrietta are sipping coffee at a small table. I know they’re chatting about me. I creep closer to eavesdrop, but they shoo me away, motioning me to stay in bed. My soul tells me to wake up! As my eyelids flutter open, the most startling thing happens. The nurse enters the room, and her gentle presence reminds me of my mom. “Rise and Shine!” chirps the nurse, raising the window blinds. Shivers run up my spine. As a child, my mom used to raise our curtain blinds every morning, cheerily proclaiming, “Rise and shine… it’s a beautiful morning in Chicago!” What an amazing, welcoming greeting from her spirit! Back home, I call mom’s friend, Roz Ebstein, eager to share my dream. I’m awed to receive this verification. Since my mom studied the Bible and wrote regularly, it made sense that she adapted the psalm to fit her thoughts. While troubles “lay heavy on her heart” after her passing, her spirit now wants to celebrate my life. No matter what you believe, I hope this story touches your heart. Please share it with those who need a spiritual boost. Remember — wherever we go, love always connects us. It’s up to us to share our inspirational stories, uplift the world, and make the most of what we have.